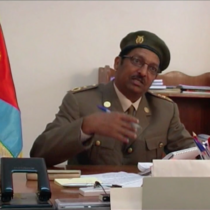 Eritrea – The Country of the Can Do People! Video #Ethiopian map from the 1940s till present explained clearly starting from the meeting between Ethiopian Emperor Haile Selassie and President Franklin D. Roosevelt aboard the USS Quincy in the Suez Canal, Egypt. The video also explains on the golden days/years of Ethiopia and how it rose to prominence by building its Navy, Air force, and Infantry to the hosting of the OAU on the expense of Eritrea by the rent paid to the use of Kagnew Station (Eritrea) making Ethiopia the centre of gravity in Africa. The video also sheds light where the current dangerous Ethiopian map is headed to with regards to the struggle in Ogaden, and Civil Disobedience in Oromia. Copyright © 2019 EritreaCompass . All Rights Reserved.